Earlier this week Richard and I found ourselves at a Charity Event which involved dressing up and reminiscing with Abba songs. It was rather like being transported back in time, almost fun, but slightly distasteful. 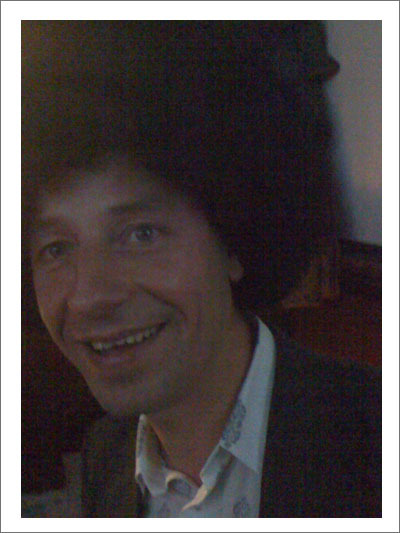 And yet, in a moment of highlight Richard donned a large Afro wig and was reborn as a man of the ’70’s. It made the Mama Mia’s all worthwhile. We’re really diggin’ your style…. This entry was posted in Documentary and tagged amusements, foreign world, richard. Bookmark the permalink.